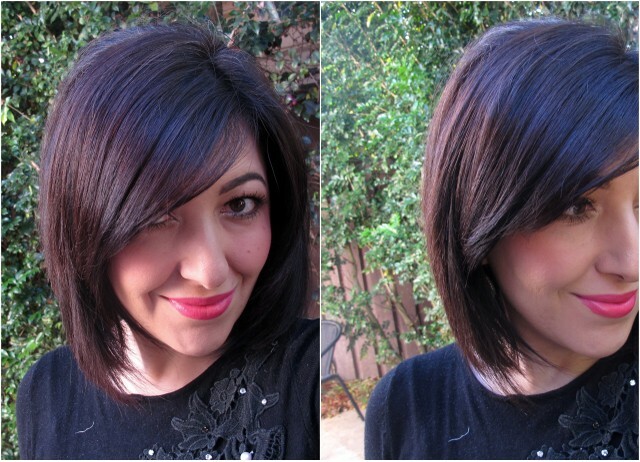 It's no secret I've been on a mission to get my hair healthy. While I'm still using coconut oil as a pre-wash treatment, I felt that I needed something more, like a leave-in treatment to keep on restoring health to my dry locks in between washes. 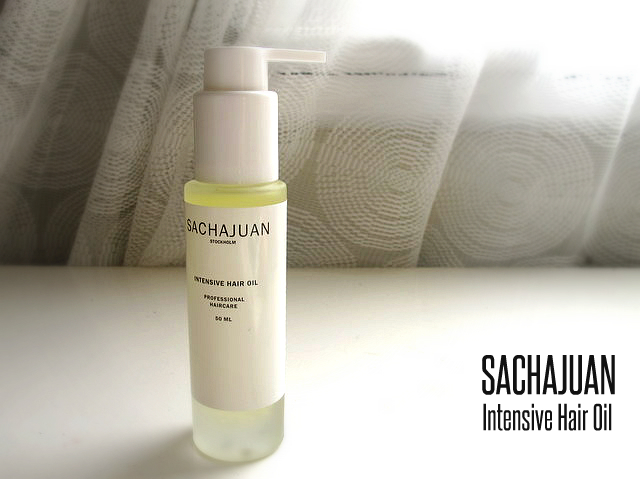 So when I was contacted recently to see if I'd be interested in trying anything from the Sachajuan range I jumped at the chance to try the Intensive Hair Oil. First things first, what or who is a Sachajuan? Well, it's a cult Swedish brand created by Sacha Mitic and Juan Rosenlind who are leading hair professionals in Stockholm. The brand has been around since 2004 and it's now finally available in Australia. What is the Intensive Hair Oil? It's a leave-in treatment oil that contains Argan Oil and Sea Buckthorn Oil. Not only is it meant to treat hair but it also leaves hair glossy and tames flyaways. It's also very lightweight, and absorbs into my hair almost immediately. Yes. I'm not commenting on any long term treatment effects of this oil as I've only used it a handful of times, but based purely on its ability to tame flyaways and make my hair glossy then the answer is a Yes. To use, I simply apply a small amount to my palms and distribute to hair from mid-length down. I use it on dry hair after I've straightened my hair to add shine, but you can also use it on wet hair. My hair with Sachajuan Intensive Hair Oil applied lightly over it. You can get it online from the Sachajuan website for $50AUD. They are also sold in various salons, which you can find out through their website. Yes, it's pricey, however that's how much I'd paid for my old bottle of Moroccan Oil which was the same size as this, and it lasted me 3 years so it's cost effective. The smell, it's quite strong. The first time I tried this oil I had a cold so my nose was blocked and I couldn't smell a thing. The next time the smell just hit me, but in a good way. I quite like the almost masculine scent, which lingers for a few hours, but it may not be everyone's cup of tea. Have you heard of the Sachajuan range before? Have you tried anything from them? Hi Helen, coconut oil is fantastic of dry hair. I normally leave it on anywhere from 1 - 2hrs then wash it off. I've done a post in the past where I've answered some coconut oil related questions, you may wish to have a read there but yes, definitely recommend it and hopefully the surgery was no big deal and your hair will get back to normal soon. Here's the link to my coconut oil post. Oh and no I hadn't heard of the range before!! Thanks for the intro!